Some Japanese crafts are relatively inexpensive, and therefore easy to collect. For example, a Kokeshi Doll collector can easily amass a lot of dolls at relatively little cost, unless they focus on particularly old dolls. However, other crafts, regardless of whether they are old or recently made, can be very expensive, and the Sendai tansu, or Sendai chest, is an example. 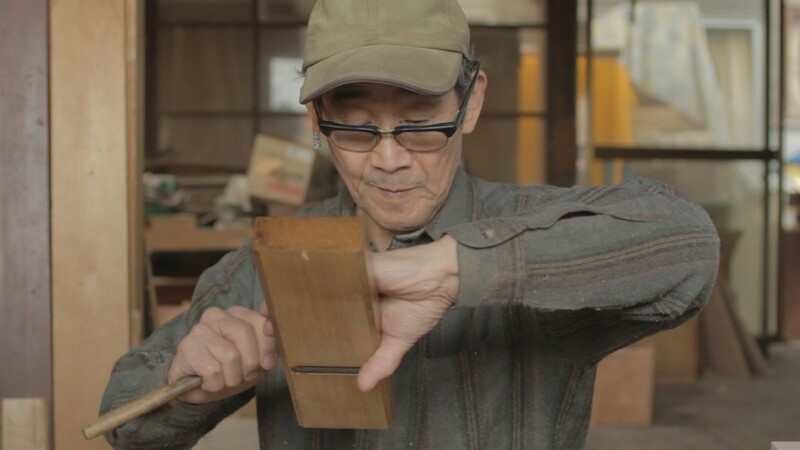 The Sendai tansu are prized as antiques for collectors, but are also available for sale by the artisans who keep the art of crafting them alive. It is quite simply a chest of drawers, yet at the same time so much more than this and is an item to be carefully looked after. It can consist of one drawer, or several of different sizes, however a traditional one would have several drawers in line with its original use when it was designed hundreds of years ago. Of course, today people have very different needs so craftspeople tend to make Sendai tansu in line with what their client requires, but regardless of the design the result is always beautiful. In the below photo you can see a Sendai tansu in the centre of the picture underneath the traditional painting. Not surprisingly, they are named after the city in which they were first designed and made, Sendai city in Miyagi prefecture. Miyagi has become especially well known in the last couple of years due to the 2011 Tohoku earthquake, the subsequent tsunami inflicted massive damage on the Miyagi coast and flood waters reached far inland with pictures of flooding in Sendai airport. 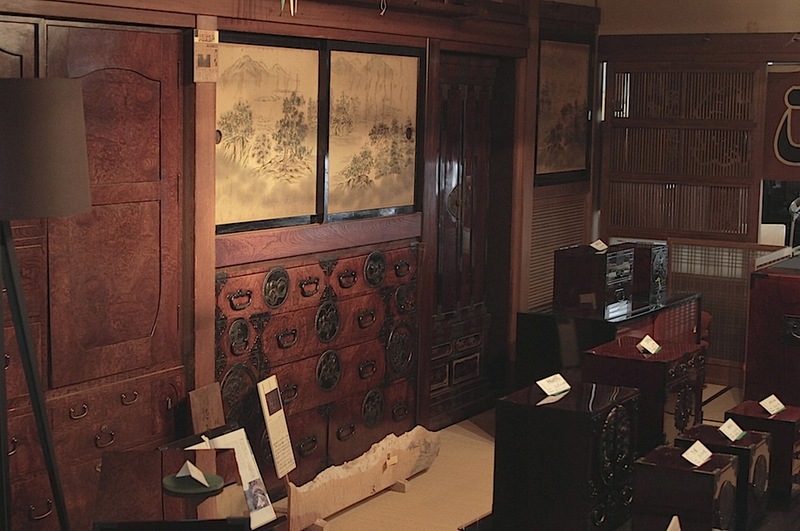 As the craftspeople in this area became specialised in making chests, gradually their furniture became known as Sendai tansu, ensuring that everyone would remember both the place and the craft. Sendai is located in the north east of Japan and takes roughly three hours to reach by Shinkansen (bullet train), hundreds of years ago it was a castle town and was controlled by the Date clan. In the seventeenth century it had become a commercial centre as it benefited from both shipping routes and the local highway. Sendai Tansu are most associated with a carpenter called Umemura Hikozaemon, who was commissioned by the first lord of Sendai, Date Masamune, to make a tansu chest for Sendai castle. The lord needed a specific place where he could place his sword, clothes and his important documents, however just a normal chest would not be sufficent. Umemura was set the task of making a chest which fit his lord’s specific needs. As it is easy to imagine, the reason why a lord or any warrior of high status would require a chest, is closely related to traditional items always associated with samurai culture. A typical Sendai Tansu had an upper drawer, a middle drawer and a small side drawer, the top drawer was for storing a sword, the middle one was for a kimono and the small one for any important items like documents. As these were treasured items the chest had to have a thick lock, and then as the chest was clearly important it was embellished with animal and floral motifs which made the chest visually striking as well. 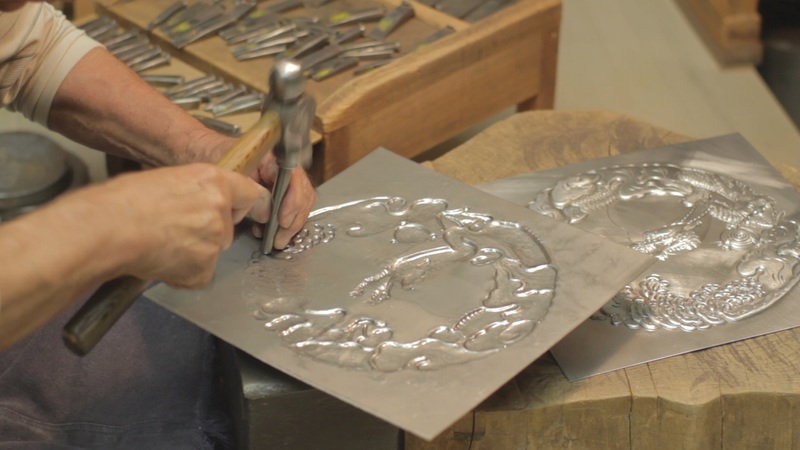 As time has gone by, and the samurai era has come to an end, more and more people have had a chest made for themselves as even today it is a status symbol to have your own Sendai tansu. The chest itself is comprised of several kinds of woods as well as iron; the main frame is made from Japanese cedar while the drawer fronts are made from Chestnut or Zelkova wood and then finished with lacquer. The lock is either made by metal engraving or metallic casting; originally the chest lock was made by metal engraving. The making of a chest is quite labour intensive, first of all the joiners select wood that has been dried for ten years, plane it and join it together with special adhesives, this is then entrusted to lacquer artisans who have to coat the chest a number of times, dry it, and coated again. 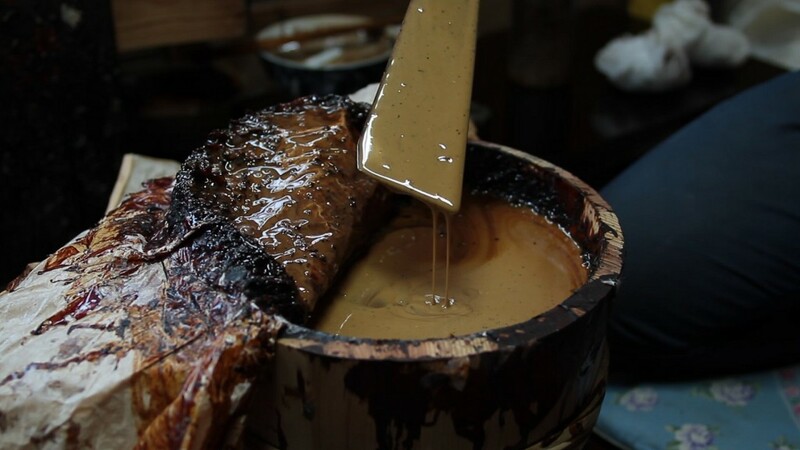 This thick layer of lacquer can be done through two main techniques which have been honed over hundreds and hundreds of years, it helps keep the chest beautiful looking for many years and over time will also help bring out the colour of the wood. Finally blacksmiths complete the chest with metalwork. There truly is nothing like seeing and touching a Sendai tansu, the finish on the wood is absolutely stunning, and the metalwork really stands out. A chest possibly represents the best of craftsmanship which can only be achieved by people with different skills working together with the best of materials. Although today there is no need to have a chest for storing a sword or kimono, it doesn’t make this item any less useful and it can be placed in literally any kind of room. The only danger is that having a chest like this will steal attention from anything else in your house, while if you are Japanese it seems only natural to have one. If you aren’t Japanese but live in Japan you will surprise everyone who visits your flat if they see that you have such an amazing, and traditional, cultural item, while if you live outside of Japan you surely will have your guests constantly asking where you managed to obtain this beautiful chest. When we think of Japanese people it is typical to think of Geishas or Samurai, as well as tea ceremonies, samurai swords and kimonos, however there is so much to Japan than just these stereotypical images. Besides, if you want to show your appreciation of Japanese culture there isn’t much you can do with a sword or a kimono, however having something as beautiful as a Sendai tansu can not only be used to store your treasured items but also stands out as craftsmanship at its best.